The Hobbs Hispano Chamber of Commerce was founded December of 2004 by a group of local business community leaders who felt there was a need to form an organization dedicated to the Hispanic community. Our vision of uniting small, women and minority-owned businesses and professionals through the Hobbs Hispano Chamber of Commerce; as a place to advocate, promote and network. Allowing business leaders, owners and professionals to further enhance their skills and knowledge for operating a successful small business. To represent the entire community locally and regionally and lend a voice to the Hispanic community. Provide the resources by which Small business owners and professionals can be recognized for their contributions and commitment to the development and economic growth of Hobbs. Advance awareness about small business and the goods and services they provide to the local community. Provide the small business owners and entrepreneurs with opportunities to enhance their products and services. Promote opportunities and information on community affairs and how to become engaged in our local community. Serve as an advocate for promoting our rich Hispanic culture and traditions within the community, while enhancing its quality of life. Hispanic Marketing: as the Hispanic population grows, your company should further engage and market to this growing demographic. 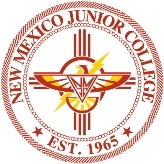 The HHCC offers a platform to connect to the Hispanic community. Recognize outstanding Hispanic leaders, businesses, citizens and youth for their positive influence on our community. Offer procurement, financing and networking opportunities for minority-owned businesses. Market Hobbs as a visitor destination with its rich, diverse culture; great quality of life and the friendliest people on earth.